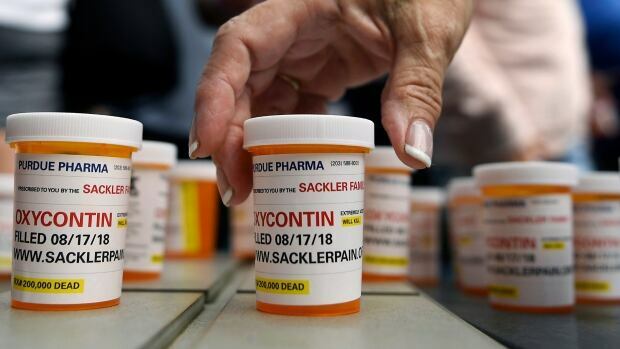 Purdue Pharma LP fraudulently transferred funds to members of the wealthy Sackler family who control the OxyContin maker despite knowing it faced major liabilities that had made it already insolvent, New York’s attorney general alleged. Letitia James made the claims Thursday in a revised lawsuit already pending against Purdue over its role in the opioid epidemic that added members of the Sackler family and other drug manufacturers and distributors as defendants. The lawsuit alleged Purdue and other manufacturers engaged in deceptive marketing that downplayed the dangers of the addictive painkillers and accused distributors of failing to detect the diversion of the drugs for illicit purposes. “As the Sackler family and the other defendants grew richer, New Yorkers’ health grew poorer and our state was left to foot the bill,” James said in a statement. The revised lawsuit also added as defendants units of opioid manufacturers Johnson & Johnson, Endo International Plc, Teva Pharmaceutical Industries Ltd and distributors McKesson Corp, Cardinal Health Inc and AmerisourceBergen Corp. Representatives for the other defendants did not respond to requests for comment. The complaint came after Purdue and the Sacklers on Tuesday reached a $270-million US settlement with Oklahoma resolving similar allegations. Purdue had been exploring filing for bankruptcy prior the accord’s announcement. In her lawsuit, James accused Purdue of seeking to “intimidate” states pursuing lawsuits against it by threatening bankruptcy, which would hinder their cases and limit their ability to recover damages. Yet James said Purdue, which is fighting lawsuits by 34 other states and hundreds of localities, has continued in the face of its liabilities to pay millions of dollars to the Sacklers. The lawsuit argued Purdue was either insolvent or near insolvency when it transferred those funds, making the transfers illegal under New York law. The payments meant Purdue, which had average annual sales of $3 billion, no longer had assets that could satisfy the state’s claims, the lawsuit said.